Talk about the perfect rainy day jam or another acoustic beauty to add to your playlist for a long drive. 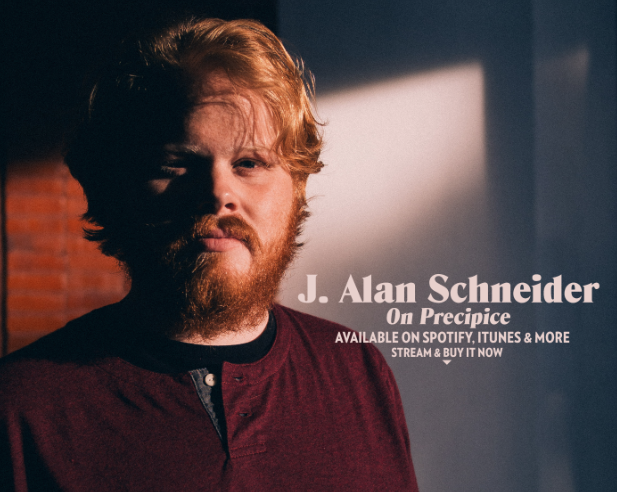 NYC native and Indie-Folk artist, J. Alan Schneider released his latest EP, On Precipice October 27th and it’s all I’ve been listening to. The record contains seven deep and heartfelt songs that hit where it matters most and will keep you listening for hours. Throughout the duration of the album you’ll get the wind knocked out of you, by following the all-too-relatable story of growing through life. “The foggy fact that we, as people, need to move through life sacrificing our personal control, and respecting the resulting growth in ourselves” only begins to dive into the premise of Schneider’s new storybook EP. The songwriter has lived in the light of his previous EP, Lo & Behold featuring the national coverage on publications such as Big Bad Buckle and Highway 81 Revisited. He’s toured all throughout the northeast, performing at PIANOS, Rockwood Music Hall and Hard Rock Cafe in NYC. He’s even landed on Spotify’s Fresh Finds playlist and NH Public Radio a few times as well! You can stream On Precipice now on Spotify and iTunes now and be sure to keep up with what he’s doing on his social media pages! Keep calm and cross your fingers that the New York boy will add some dates to his current tour, and that there may be some midwest stops.